Detail of the artist at work. 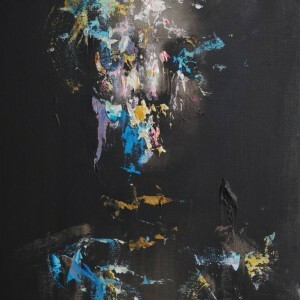 Jean-Luc Almond is a UK-based artist who received his BFA in 2013 from the City & Guilds of London Art School. He was the winner of The Cass Art Commission of the National Open Art Competition, Somerset House (2014); he was also the winner of The Best Painting Prize at “Injustice” Open Art Competition, La Galleria, Pall Mall, (2014). Jean-Luc is influenced by ‘memorial portraiture’ (also known as post mortem photography, which was a popular early 19th century photographic process for immortalising deceased loved ones). 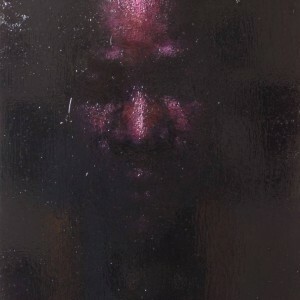 He layers multiple paintings on top of each other before scratching away at the surface to reveal phantasmic faces peering from beneath. 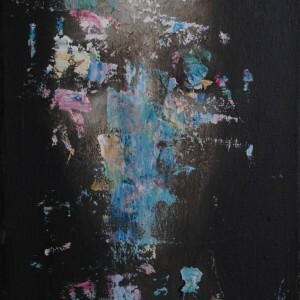 Therefore, his paintings are constructed through the processes of both creation and destruction, damage and repair. 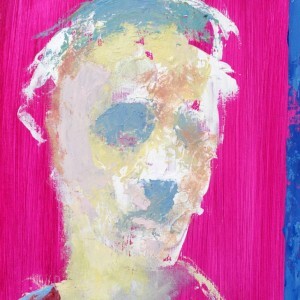 Jean-Luc is obsessed with the materiality and texture of the paint itself. A certain tension exists within the thick surfaces of his canvases, as paint can take precedence over the act of representation. My work explores darkness and light, creation and destruction, and mortality and fragility. I am obsessed by texture. I am interested in the transformations that can take place when I am no longer a slave to the image and the painting becomes more about the paint and the surface. 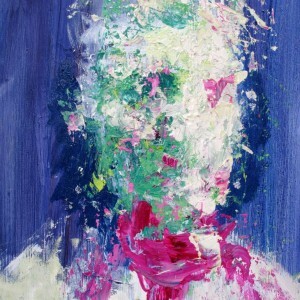 I see paint as a vulnerable skin hovering and clinging to the subject, masking the identity of the subject. Sometimes a random damaging mark can surprisingly enhance and enliven the image. Always stay true to yourself and paint what you want to paint. I prefer silence, as music can be distracting and often affect my mood. In silence I have focus and objectivity. I would like a work by Adrian Ghenie, Pie Fight Interior 12, (2014). Gilles Deleuze and Jean-Francois Lyotard.